British band Coldplay used Twitter last week to encourage fans to support the Red Cross in its earthquake relief work in Chile – and fans responded in such numbers that they crashed the charity’s website! Coldplay is joined in their plea by Leeza Gibbons, who used Facebook to urge fans to give to the relief fund: "Donate $10 to survivors of the Chile earthquake thru @RedCross, text “Chile” to 90999, I’m on the celebrity cabinet, please help if you can!" To lend your support to the Red Cross as it endeavors to bring relief to the devastated country, click here. 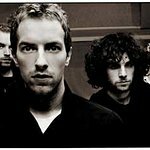 Coldplay is currently touring Latin America, and the band’s favorite charity, Oxfam, has gone with them. To read regular reports from the road, click here.